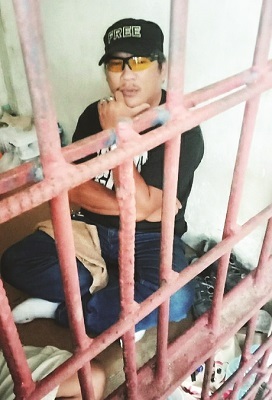 FORMER radio blocktimer Siegfried Padua would end up behind bars even if he posts a P72-thousand bailbond for his cyber libel case because he was convicted and slapped with a prison sentence in connection with another case. Police said Padua was convicted for slight threats in 2005 and a municipal court sentenced him to a four-month imprisonment. Padua was arrested early this week because of a cyber libel case filed by Marichelle Saga, a principal of a public school in Barangay Lumbia. The case was not related to mainstream media work — it was about his Facebook posts which the principal found offensive and libelous. Police said Padua was convicted because of a case for for slight threats that was filed by Vicky Susan Tolinero-Pacana, an employee of the Department of Environment and Natural Resources (DENR). 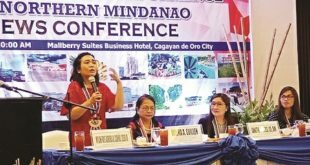 Padua had been arrested by the National Bureau of Investigation (NBI) after Pacana complained that Padua threatened to file a complaint against her before the Office of the Ombudsman if she did not give him P50 thousand. Padua filed a motion for reconsideration but the court dismissed it. Police said it means that Padua would not be released even if he posts a bailbond in connection with his cyber libel case. Padua’s arrest for cyber libel this week was made on orders of Judge Dennis Alcantar. Meanwhile, Padua said he has asked the regional court to reduce the bailbond from P72 thousand to P35 thousand. Saga, the principal, said she resented Padua’s Facebook posts about her, hence, she filed the cyber libel case. Behind bars, Padua maintained that there was nothing libelous in his social media posts. “Unsa-on pagka libel ana nga ang akong gi-post sa FB nag-ingon ra man ko nga ‘bastos ka nga principal.’ Na, libelous di-ay na? 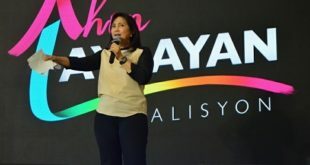 Tino-od man pud nga iya kong gibastos sa dihang mibisita ko sa iyang opinina kay mangayo unta ko’g copy sa ilang listahan sa ilang mga amot-amot sa mga studyante diha sa ilang eskuwelahan,” Padua said.